Today's subject is all about beauty and aging. We all wish that we could find the Fountain of Youth, but the reality is that aging is inevitable. With that aging process comes a number of hurdles, including trying to stave off sagging skin and wrinkles. The skincare industry has answered the call for wrinkle treatments in a big way. Their are now any number of creams, lotions, needle treatments, and other products available for purchase that claim that they can restore youthful skin. But sometimes creams and lotions just don't cut it. Sometimes you might need something a bit more powerful, such as laser therapy. L'argomento di oggi riguarda la bellezza e l'invecchiamento. Tutti ci auguriamo di trovare la fonte dell'eterna giovinezza, ma la realtà è che l'invecchiamento è inevitabile. Con il processo di invecchiamento arrivano una serie di problemi, inclusi quelli della pelle priva di tono e delle rughe. L'industria dello skincare ha risposto alla grande alla richiesta di trattamenti antirughe. Ci sono una serie di creme, lozioni, trattamenti e altri prodotti da acquistare che promettono di mantenere la pelle giovane, ma a volte non bastano. A volte si ha la necessità di qualcosa di più potente, come la terapia laser. One of the key ways that lasers can help you regain tighter skin is that they can get your body to produce more collagen. They can also help the existing collagen to bind closer together. Collagen is one component in what can best be looked at as cellular glue. Together with elastin and other substances, it is what binds your skin cells together. The way in which laser machines influence collagen is by using very specific light frequencies, combined with a certain amount of heat. People have used cosmetic laser tools for that purpose for years. You could find that the influence of those machines may be just enough to get your body to start repairing itself. 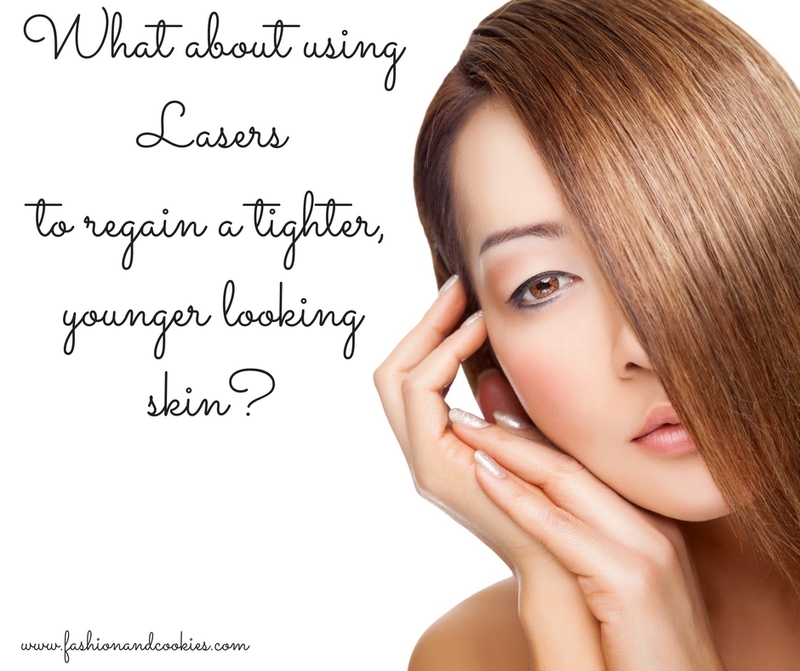 Lasers can also help with skin tightening, or at least making the skin appear tighter, in other ways. For example, Fraxel lasers essentially drill tiny conduits through the skin. After a Fraxel procedure, any medicated cream or lotion can travel through those conduits to get into cells that are deeper down. Another way in which lasers can be used to make your skin look better is that you can have ablative laser treatment in the form of laser skin resurfacing (also known as a laser peel). That process can remove a lot of dead skin and blemishes you may have, and other surface issues. Since the skin below will be alive and healthy, your skin might look a bit tighter, and it will certainly look a bit healthier. Can Anyone on Earth Have Laser Treatment Performed on Their Skin? Lasers produce a fair amount of heat, which is why your clinician will warn you not to wear any perfume or other products on your skin when you go in for a laser appointment. The interaction with those products can create blisters and burns. For that same reason, your skincare expert may recommend that you avoid laser treatments if your skin is too oily. 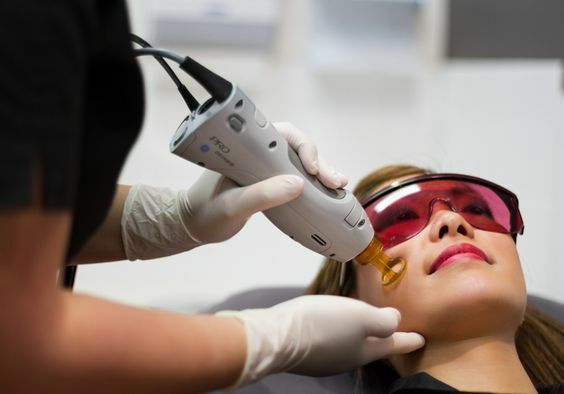 Besides oily skin, there are also other issues that could prevent you from making a laser appointment. For instance, if you currently suffer from regular acne outbreaks then lasers are likely to just aggravate the problem. Although, they can sometimes be used to treat older acne scars. Is it Ever Too Late to Have Laser Treatment? Finally, there's the question of when to have laser treatment, assuming you are going to have it at all. Most people tend to have laser treatments between the ages of 30 and 60. It's not often recommended for people older than that. Also, regardless of your age, it may be too late for you to have this type of procedure done if your skin is excessively saggy. Lasers can reduce minor sagging over time, but for more pronounced sagging surgery may be a better answer. Thanks for following and commenting Fashion and Cookies fashion and beauty blog! Beh potrebbe essere un ottimo metodo per non ricorrere a soluzioni più drastiche come Botox o altro, io sono d'accordo!! 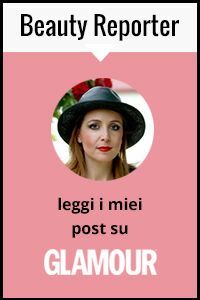 Davvero interessante questo post….ottimo per la nostra pelle!!! !